Teslagrad opens sometime before the game takes place with your unnamed character being delivered as a baby to the doorstep of what I assume to be a stranger. This act leaves you as the last remaining Teslamancer. 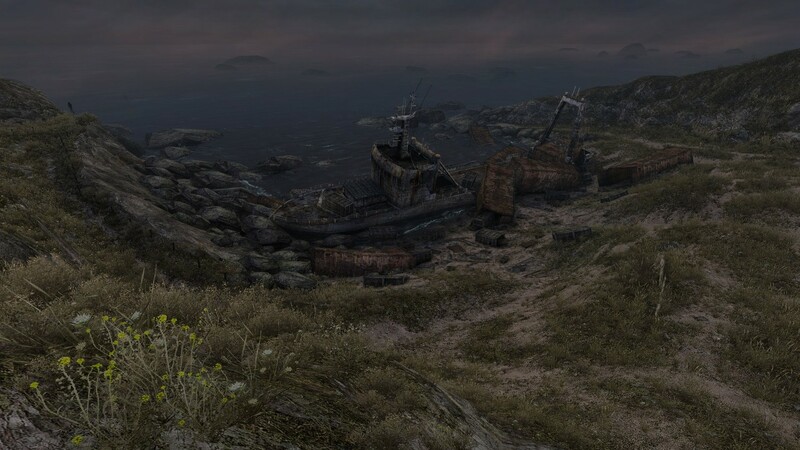 Years later your journey begins as you start to unfold the events that lead to the demise of your people. Throughout the game you’ll find a handful of different tools that offer you special abilities that allow for a variety of unique puzzles and situations to overcome. Unfortunately Teslagrad starts to wrap up just as it feels like it’s getting started. That said the length is only a complaint due to the overall quality of the entire game. It makes me wish there were more. 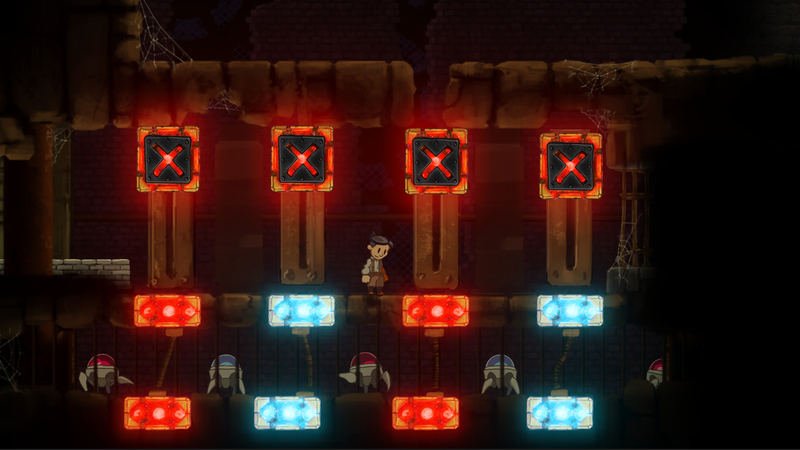 Teslagrad makes use of a magnetic/polarity system that serves to be the major mechanic involved with most of the game’s puzzles. Throughout the game you’ll be able to punch specific objects to change their polarity, teleport a short distance from left to right, shoot polarity lasers, and even don a robe that allows you to change your own polarity at will. Each of these abilities are given to you throughout the game as you progress through specific areas. The game’s map itself has a central tower with several points branching off that allows access to areas that tend to lead to a boss fight, story segment, and sometimes a brand new skill. The map isn’t completely open in the way that you might expect from games that wave around the ‘metroidvania’ term, but Teslagrad does have several optional collectibles that you’ll need to return to with a late-game power-up in order to get. That said the Tesla Tower feels cohesive, the way everything fits together works really well for what the game is going for. The game also delivers small bits of story through short stage plays complete with cardboard cut out versions of characters. These are done well and convey everything you need to know without having to speak one word of dialog. Teslagrad gets a lot of mileage out of its mechanics, whether it’s through puzzles or boss fights. There’s a lot of cool ideas presented considering the fact that you’re only given a handful of abilities. In particular the boss fights (the second and final boss come to mind) are really well made as far as their solutions are concerned. That said I did find the second to last boss to be a bit frustrating due to the fact that you can only ever take one hit before dying. That particular fight isn’t overly difficult, but it does go on for a while and making one mistake at the very end that forces you to restart the entire fight can be a bit frustrating. That aside the vast majority of my deaths were completely my fault and, aside from one boss, never became frustrating. Now Teslagrad is only currently available on PS4 and PS3 in the EU region. It’ll be coming to the US next year on those same platforms with a Vita release following close behind. Teslagrad is pretty awesome and, when it is available in your region, is absolutely worth checking out.